Bay Ridgites, assemble! In the New York State Assembly, the neighborhood is divided right down the middle, its different sections represented by different legislators representing multiple districts that serve multiple communities. The 46th Assembly District is the apotheosis of redistricting illogic. It includes a good chunk of southeast Bay Ridge and a dozen blocks in Dyker Heights (including the golf course and McKinley Park) before it narrows to a Belt Parkway-wide strip that runs southeastward for a mile, eventually opening up to realms shrouded in mists and largely unexplored (at least by this Third Avenue flâneur)—all of Coney Island, and parts of Gravesend and Brighton Beach. Northern Bay Ridge is part of the 64th Assembly District, which also includes—counterintuitively—parts of Staten Island. And as we all know, thar be dragons! 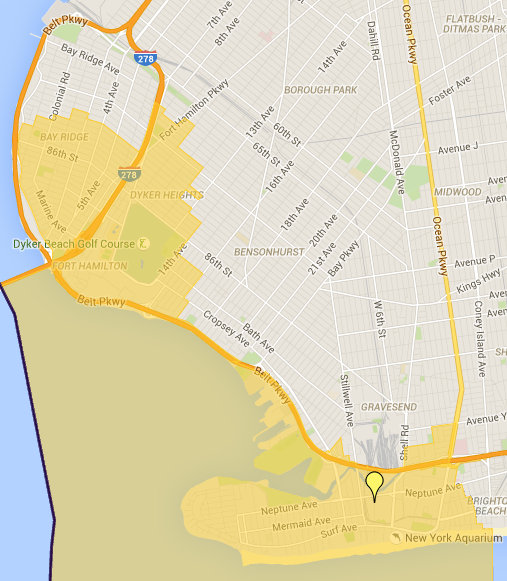 Why not have all of Bay Ridge in one district, instead of this blatantly gerrymandered mess? 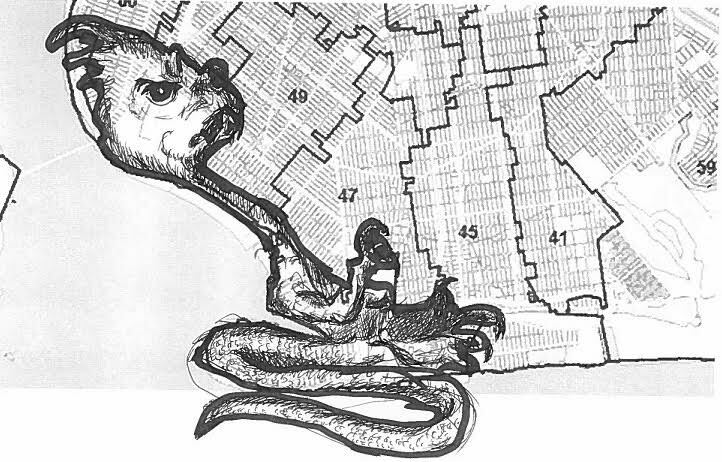 Hey Ridge has spotlighted the districting anomalies that haunt Bay Ridge, specifically its bonkers congressional district. But the assembly districts also bear a closer look. The lines of the 46th Assembly District, which cut up Bay Ridge, were first drawn in 1982, a watershed year in creative mapmaking. It was done by the Democrats, who saw an opportunity to turf out Republican Florence Sullivan, a lifelong resident of Bay Ridge who represented what was then the 50th District, including most of Bay Ridge. Once “her district was dismantled through reapportionment,” as the Times put it, Sullivan used her lost assembly seat to stage a losing run for the US Senate against incumbent Daniel Patrick Moynihan, after which she returned to private legal practice. The gerrymandering was a smashing success! Although typically a bipartisan affair (Democrats and Republicans can always find common ground when it comes to dividing up common ground), it was the efforts by Democrats 35 years ago that led to this disenfranchisement of Bay Ridge. One of the main consequences of this is that since 1982, the 46th and 64th Assembly seats have been held by politicians who don’t live in Bay Ridge—largely due to these awkwardly shaped districts. 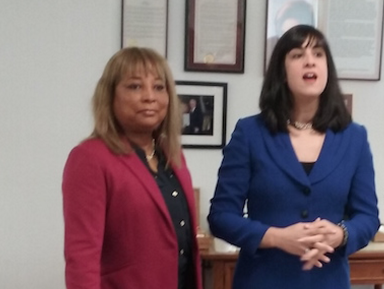 Presently, Nicole Malliotakis, who represents the 64th (North Ridge and Staten Island), lives on Staten Island (although she has an office in Bay Ridge); the representative of the 46th (South Ridge and Southern Brooklyn), Pamela Harris—who replaced Alec Brook-Krasny in a special election in 2015—is a lifelong resident of Coney Island. Rumors of a Harris Bay Ridge office have been greatly exaggerated. But it’s hard to blame Harris for not wanting to open a second office on Third Avenue. (UPDATE: Harris opened an office just off 86th Street.) What’s absurd is that there are districts drawn in such a way that assembly members would need two district offices (fully staffed and fully furnished) for the daily grind of local representation. Unfortunately, over the years, Bay Ridge always seems to be the neighborhood that gets the short shrift, not just in terms of office space but in terms of representation in the state assembly. This isn’t just a matter of convenience for the candidate, but reassurance for the constituents—to make sure their interests are being served in state government. The needs of Bay Ridge are not necessarily the needs of Coney Island. Regarding matters of transportation infrastructure, for example, Harris’s support for investment in the future of the MTA is stated largely in terms of the F train, leaving us poor R riders to wonder when our turn will come. Harris faces reelection this year—and a primary challenger. She won in 2015 in a special election that bypassed the primary process; her nomination was clinched behind closed doors by party officials. Her support came from the Kings County Democratic Club and from politicians such as Congressmember Hakeem Jeffries, State Senator Diane Savino, Assemblymember William Colton and City Councilmember Mark Treyger—all of whom represent districts outside of Bay Ridge. 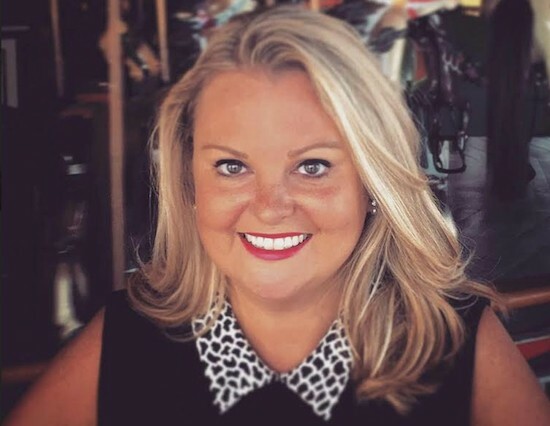 Bay Ridge Councilmember Vincent Gentile and Brook-Krasny supported Kate Cucco, a resident of Bay Ridge and Brook-Krasny’s former chief of staff. But Bay Ridge was outflanked and outmaneuvered—not through the electoral process, but through the machinations of the same Democratic party that drew those bizarre District lines in the first place. Last Tuesday, Cucco announced that she would again enter the 2016 race for the 46th Assembly seat, representing South Ridge and parts of Southern Brooklyn. Should she win, she would be the first assemblymember in a generation to represent parts of Bay Ridge who also lives here and is active in the community. The primary for the Assembly will be held on September 13, because, you know, this election season hasn’t been complicated enough for New Yorkers. But although New Yorkers generally—and Bay Ridgites in particular—aren’t known for their turnout on regularly scheduled election days, let alone primaries or special elections, the September 13 primary is a unique opportunity to put the concerns of Bay Ridge center stage. Of course, one election won’t solve the problem of our monstrous borders. The next redistricting will occur after the 2020 census. There are some signs that gerrymandering is being taken seriously by lawmakers. In 2014, New Yorkers voted on an amendment to the state constitution that would create a special commission to oversee redistricting efforts. Less reassuring was the bickering that took place over whether the language of the initiative should use the word “bipartisan” or “independent,” not to mention the concern over whether this amendment represented real reform or whether it would just solidify the existing gerrymandered districts. The amendment was sponsored in the New York Legislature by…wait for it…Sheldon Silver and Dean Skelos, former state government leaders since sentenced to jail after separate corruption convictions. Maps are not neutral. They delineate both geographical areas and regions of power and influence. They can divide us—literally, in the case of the 46th district map—right down the middle. And it’s not even clear that drawing a Bay Ridge-shaped district would be any less politically motivated than the decision to carve it up was. But local politics should be truly local (not parochial) if our political lives are to mean anything. And part of what it means to be local is recognizing the issues that impact us as a community and deciding who is best suited to take these issues up. It’s important for us to know who our neighbors are, when they are in trouble, what our needs are regarding education, transportation, infrastructure, healthcare and more. It is time for Bay Ridge to reclaim its political clout, emerge from the shadows of Coney Island and Staten Island, and find itself on the map. Why Are There a Few Blocks on Ridge Boulevard Without Apartment Buildings? The history is wrong here. While the lines were redrawing in 1982 to do away with the republican seat it was not to create the 46th AD. The new district was the 52nd AD, which included Carroll gardens, red hook, cobble hill and brooklyn heights. It ran from bridge to bridge. In 2002, bay ridge was taken iut if the downtown distict. And the 60th AD was created along with the 46th. The 60th, which was the first assembly district in memory to cross Boro lines, was meant to be a competitive distict, whereas the 48th was created for south brooklyn. Today the 60th has another number but remains largely in tact. The 46th remains the same as well.